The Weekly Photo Challenge is a little late this week, but the inspiration was easy to fulfil, both here and at Just Snaps! 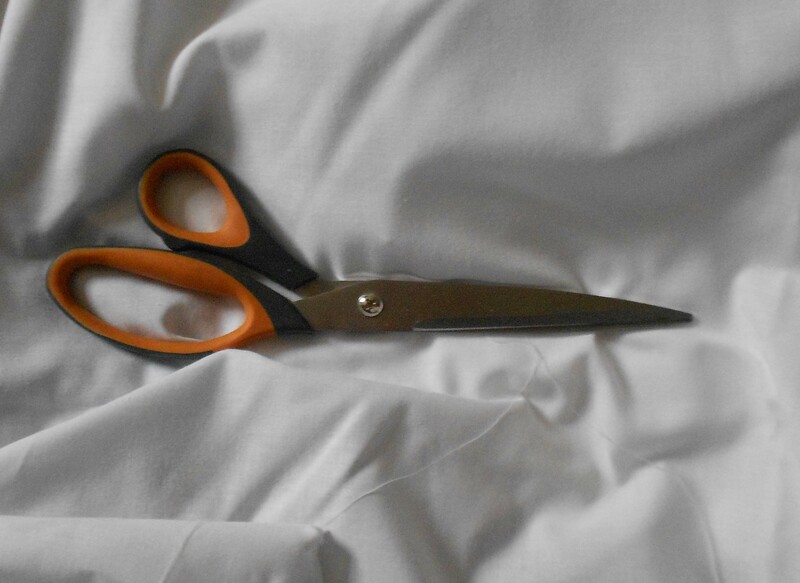 These are my special fabric scissors. Touch them at the risk of a handslap! Don’t even let them hear the word……. Lots more entries and full details of the challenge can be found here. Weekly Photo Challenge: Mine « Insanity at its best! Weeky Photo Challenge; Mine « So where’s the snow? Weekly Photo Challenge: Mine | Travel. Garden. Eat. Weekly Photo Challenge – MINE aka October Fools Day… | Ouch!! My back hurts!! Mine Brothers (aka Weekly Photo Challenge: Mine) | One Not Alone. Love it … I have wonderful long bladed paper scissors and if anyone tried to use them on fabric, I’d shoot ’em. I appreciate the pingback, Thank you. I once had some fabric scissors too and I wouldn’t let them near paper either! My mother used to bemoan the constant disappearance of her scissors, and her scotch tape!